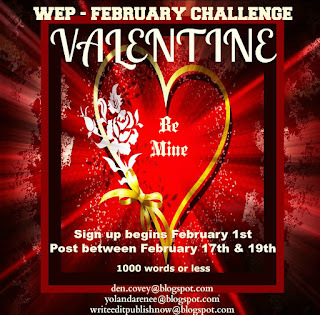 #WEPFF - VALENTINE CHALLENGE - SIGN UP TODAY! 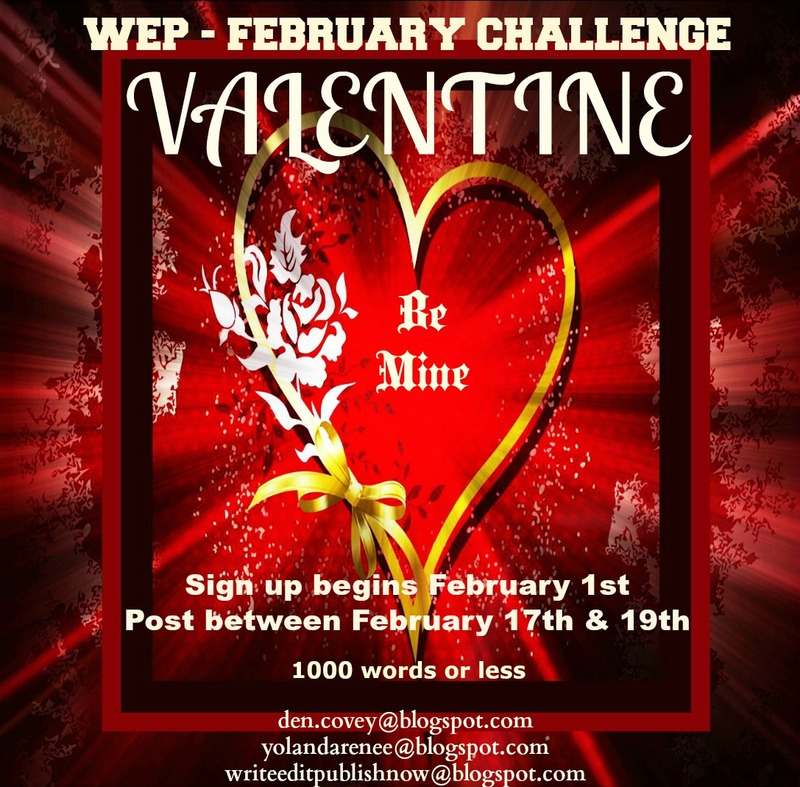 Welcome to the first WEP challenge for 2016 - we open the year in February and it's all about the Valentine. Does it hold special meaning, or is it just another day? Do you have fond memories such as the angst of young love waiting for a Valentines card from a schoolyard crush or were you the one who missed out while all your friends got loads of cards? Did you have a nasty boyfriend or girlfriend who texted on Valentine's Day to break up? Alternatively, did you have a husband or wife, the romantic at heart, who surprised you with a secret Valentine's Day trip to the place of your dreams? 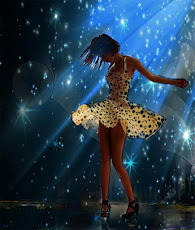 Poetry – Valentine's Day is all about the poetry – I doubt our poets need any prompting here. For a non-fiction piece or a tale of fiction, 1000 words or less, use the prompts above or a story special to you. For a visual piece, do you have a Valentine's tale that goes along with a saved Valentine, or one you created on your own – share it and tell us the story behind it? Alternatively, post a picture of love or something that signifies what the holiday means to you. We also know there are anti-valentine folks out there, and that's fine too. Tell us why and how you celebrate love, without the need for a holiday. Make this challenge yours – what does Valentine's Day mean to you? 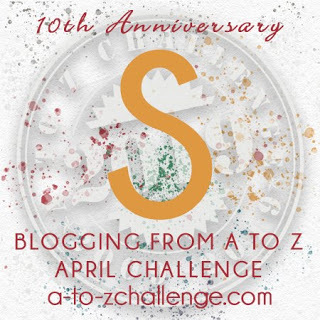 Help us Celebrate February's Challenge! 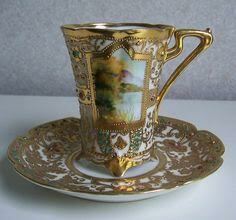 Our Valentine's Day challenge is to be judged by Francine Howarth, UK prolific author of Regency Romance. Francine was my original partner in RomanticFridayWriters, which morphed into Write...Edit...Publish so as not to bamboozle those who didn't think 'romance' was their thing. But really, when we think of the stories we love, most have some romantic element, (see my blog post on Romance V Romantic Writing here) and that was what RFW was all about...edgy flash fiction with a romantic element within. Hi, I’m Francine, and first let me say how honoured I felt when asked to do a guest post for Write, Edit, Publish, so thank you Denise and Yolanda. It’s all very well saying, yes, I’ll do a piece for magazine, blog, whatever, until the mind goes blank. Yikes, and did my mind go into dead zone, until inspiration hit. 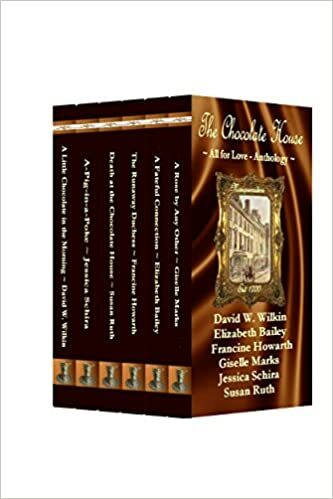 So here I am, and rather than promote myself and my own books per se, I’m writing about the daunting task of compiling works by many authors for what became a charity anthology set within the Georgian & Regency eras. As one would expect, the process of getting together for a collaborative working relationship is just the first stage in finding like-minded people. Our ideal became a themed anthology comprising of its own history base – The Chocolate House – which required a little forethought, more especially when the participants were from all around the globe and not one member of the group had met the other in person. Trust was therefore a major factor until the group slowly began bonding as a whole, thence mutual support from within built with every aspect of the process, and became enjoyable as the project proceeded. 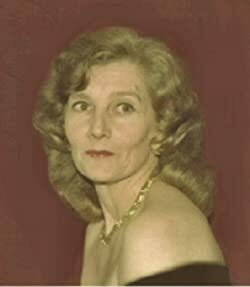 In the early stages of our anthology characters came to light and names were cross-referenced, and thereby namesakes cropping up in different storylines saved the anthology from falling foul to the unmentionable of a Lady Jane Marchment in one story, and a Miss Jane Whitcombe stepping out in another story. Admittedly Jane is a common enough name for the eras depicted, but two Janes in the same anthology . . . Well, simply put; we were not at home to Mr Cockup. 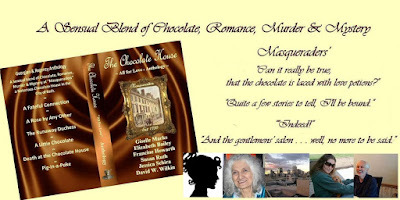 As always in writing stories, blood was sweated, tears were almost shed, laughter arose from amusing quips, and we came through with a sensual blend of Chocolate, Romance, Murder and Mystery at "Masqueraders". Each novella is a complete story, though one or two may now, or did when first written, link to other novels by individual authors. The overall background setting is the beautiful City of Bath, famous for its Roman Spa, its Abbey, its Pump Room; Assembly Rooms, and Sally Lunn’s bun shop. The city itself has been made famous within the literary world by the likes of Jane Austen, Georgette Heyer, and other authors of Georgian and Regency historical novels. 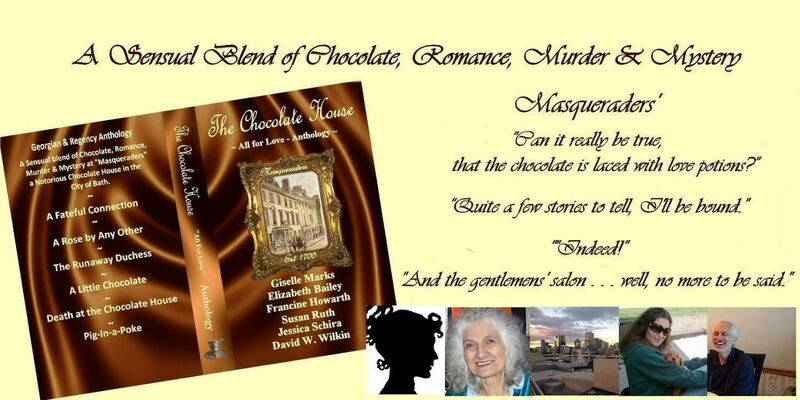 Thus Bath is renowned as a place for intrigue and romance, but few readers will have stepped across the threshold of Masqueraders’, a notorious and fashionable Chocolate House, that existed within the city from 1700 to the latter part of the reign of William IV. What happened to it thereafter no one knows, for sure. Nor does anyone know why Sally Lunn’s bun shop disappeared in the mid 1700s, and remained undiscovered for decades until renovation work and the old ovens were rediscovered behind panelling in the 20th century. All royalties earned will be donated to Great Ormond Street Hospital for Children, London. Thank you Francine for visiting us and sharing the story of a successful collaboration. Maybe there is a writer you've thought you'd like to collaborate with in the future. Maybe Francine's post was just what you needed to encourage you. It can be done. Like to read more? L.G. Keltner, who has written for WEP, won the IWSG Anthology competition has posted on the IWSG website on submitting to anthologies. 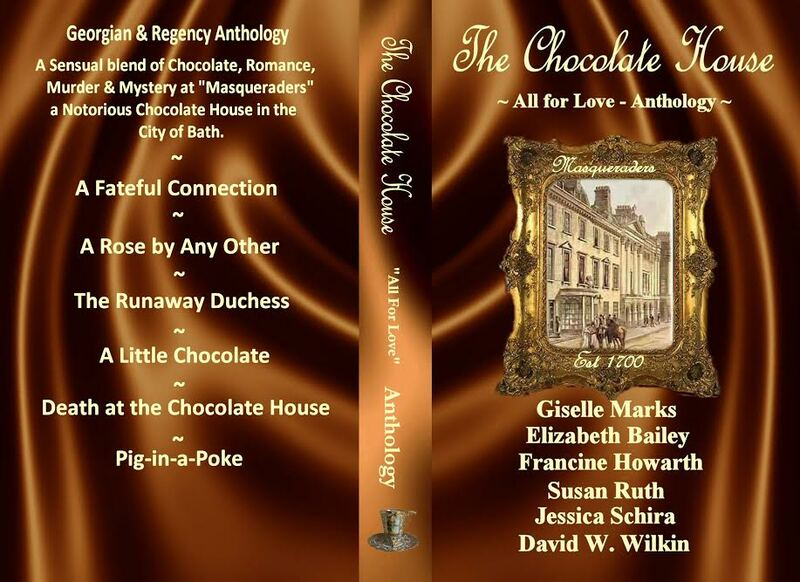 And a huge shout out for Yolanda who made the cut into the anthology. Congratulations Yolanda! 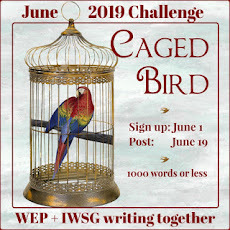 Now this post is to whet your appetite for the first WEP challenge of the year! 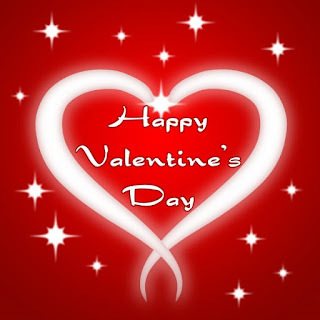 The Valentine's Day linky will open on February 1. Please join us! As everyone gets the New Year off to a great start, your hosts have been working on the details for WEP 2016 challenges. 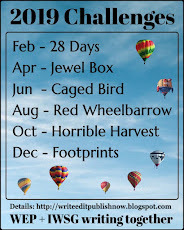 Here's the new menu and a link to the 2016 Challenges Page which is still under construction, but the dates and prompts for each challenge are listed. 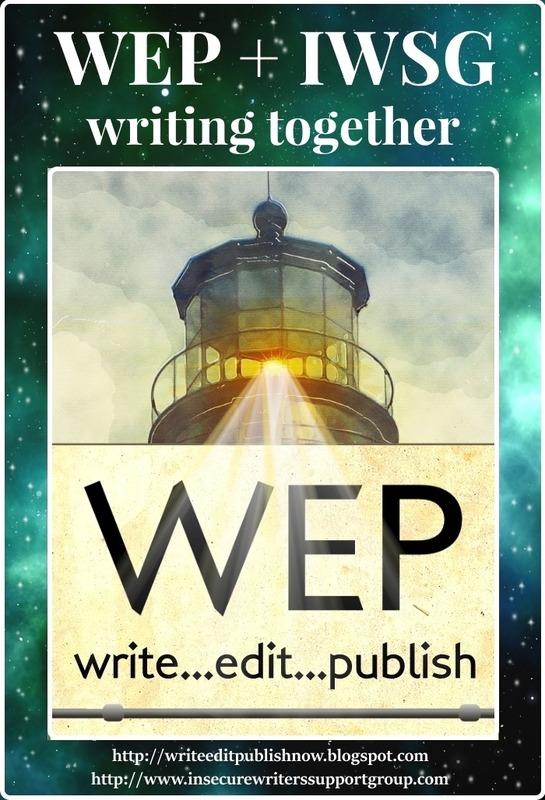 We hope you'll put WEP on your calendar and get your muse flowing with the possibilities. Our first challenge is all about that elusive or not-so-elusive icon of love, the Valentine. Does it hold special meaning, or is it just another day? Do you have not-so-fond memories such as the angst of young love waiting for a Valentine's card from a schoolyard crush? Were you the one who missed out while all your friends got loads of cards? Or were you filled with glee that your Valentine' Day cache was overflowing while your friends looked on, filled with jealousy? 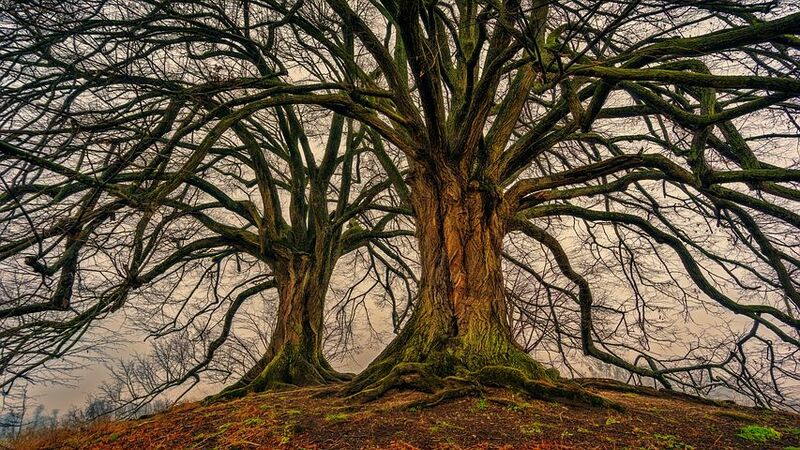 These are just a few examples to get your creative juices going. 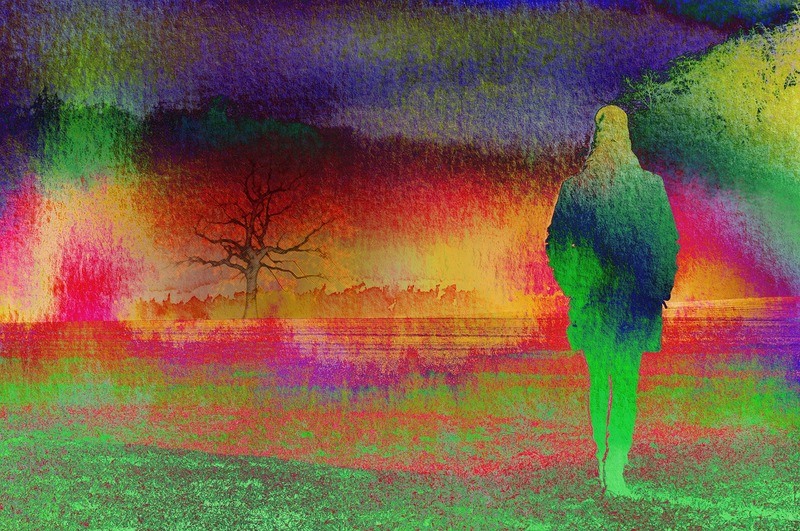 None of the above needs to have happened to you...they are just possible scenarios for those unsure how to proceed. Of course, you don't have to write a fictional story at all! Plenty of other options. For a visual piece, do you have a Valentine's tale that goes along with a saved Valentine, or one you created on your own – share it and tell us the story behind it? A Valentine's Card used as a post, created or real, would be a stand out. Alternatively, post a picture of love or something that signifies what the holiday means to you or someone close to you or someone completely imagined. We also know there are anti-valentine folks out there, and that's fine too. Tell us why and how you celebrate love or lack thereof, without the need for a holiday. 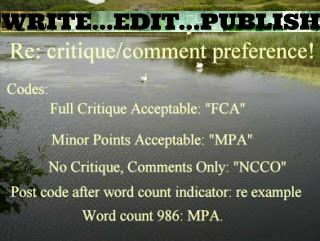 For a non-fiction piece or that tale of fiction, 1000 words or less is the suggested limit. 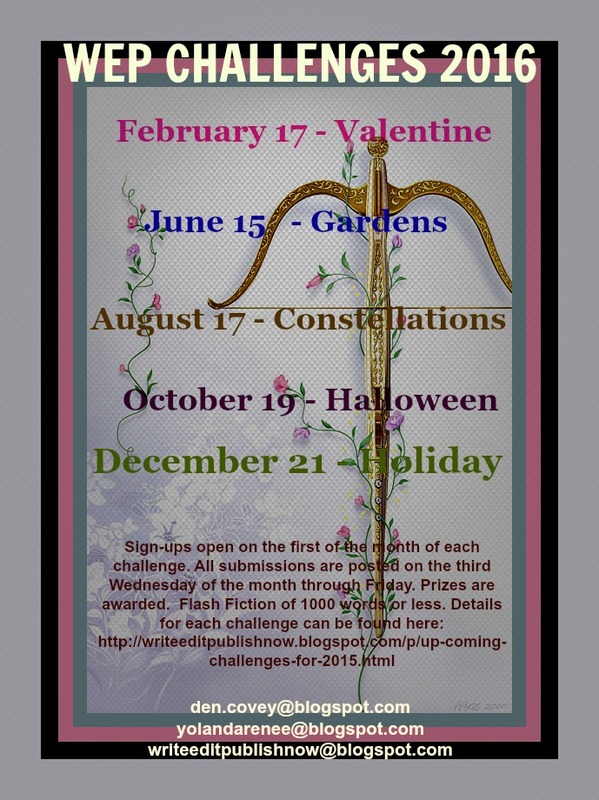 Can't get enough of Valentine writing challenges??? 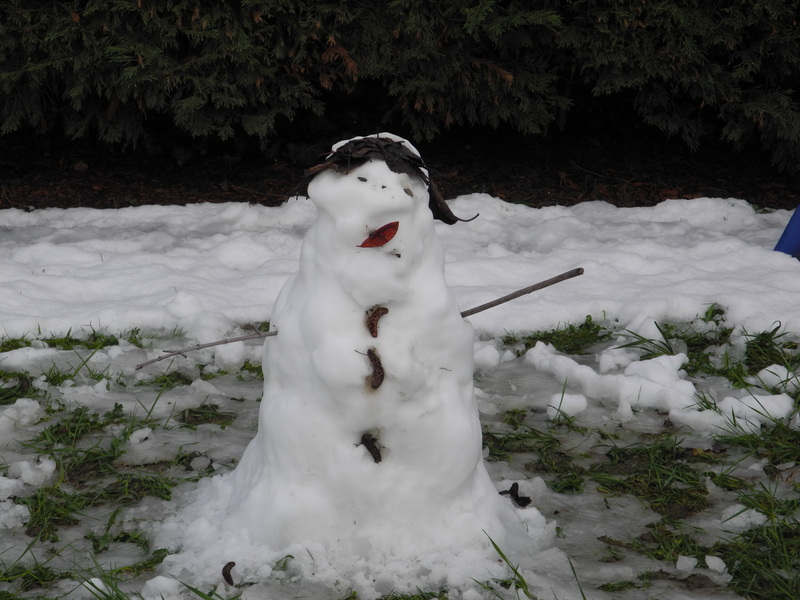 We'll post the Linky for sign-ups to our very own WEP challenge on the 1st February. Don't forget to sign on, and remember it's the same day as posts go live for the Lost & Found Blogfest being held by Guilie and Arlee. 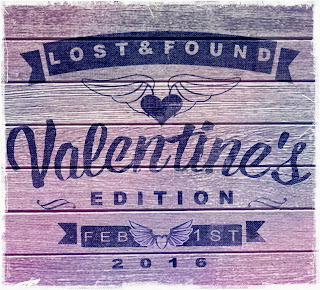 You can learn more about the Lost & Found and sign up HERE. 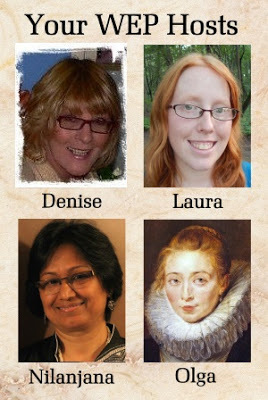 We can't pass up a blogfest about romance so we're helping by being co-hosts. 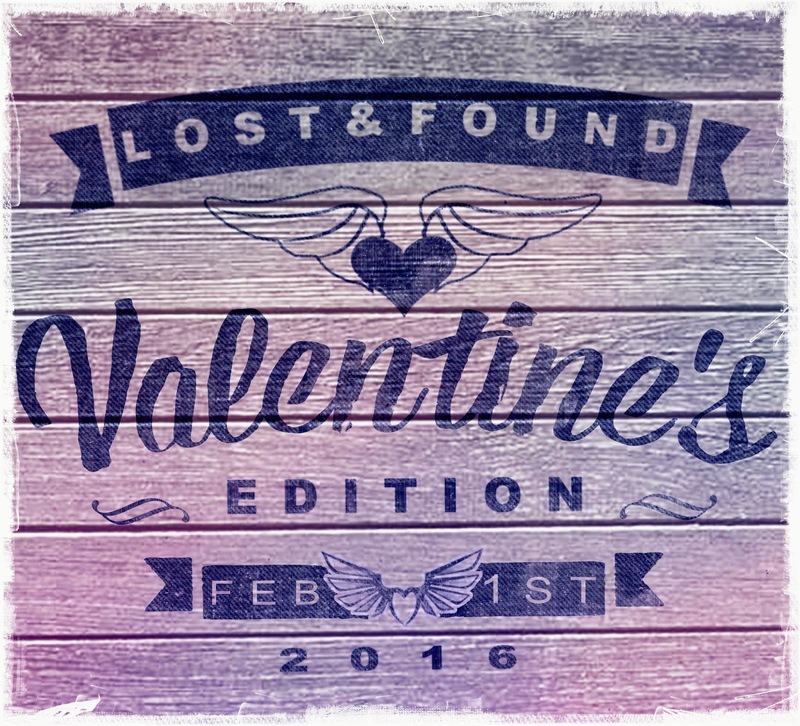 Help us Celebrate Loves Lost & Found!